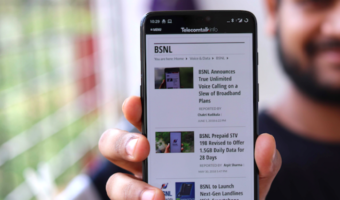 IDEA Cellular has introduced exciting range of new Tariff plans with 50 paisa local and STD calling plan as well as Pay Per Second plan and ‘Get More For Less’ in Orissa telecom circle for its GSM prepaid mobile subscribers. IDEA has designed these products keeping in mind the Orissa market where the current call rates are much higher. With this, IDEA subscribers will now enjoy the lowest telecom tariff in the state. Under the “One Paisa/Second” tariff plans which offers Local, and STD calls to any network across India at just 1 paisa per Second for its new and existing customers in Orissa. All Local SMS will be charged at 50p and National SMS @Rs.1. To awail the above plan Idea Subscriber needs to recharge their prepaid account with RC28 which comes at Rs.28 with tariff validity of 365 days. Under the “50 Paisa Revolution” offer, All IDEA subscribers can make Local and STD for just 50 paisa per minute, Local SMS will be chargeable at 50p and National SMS will cost Rs.1 for a period of one year, through a recharge voucher FRC8 which priced at Rs.8. 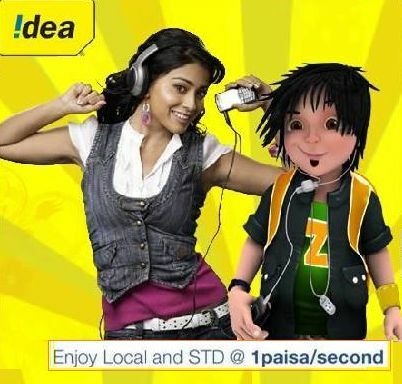 Under the “Get More For Less” offer, IDEA subscribers can make local IDEA 2 IDEA calls for just 25 paisa per minute, other network local call will be chargeable at 50 paisa per minute for a period of 12 months, by a recharge of Rs.9. However, STD call rate on this pack is Re.1 per minute. This offer is tailor-made for customers who make more local calls. Idea is the most sleepy company I have ever seen in the telecom space. It has bought our local operator “”SPICE TELECOM”” but its even more sleepy than the earlier operator. BlackBerry introduced Curve 8520 through AIRTEL in india about 4 months back > Now even Vodafone is selling it but IDEA is still sleeping…. Abhishek Bachchan maybe does not know what kind of company he is promoting, or maybe like IDEA its only concerned with the money coming into the pocket..